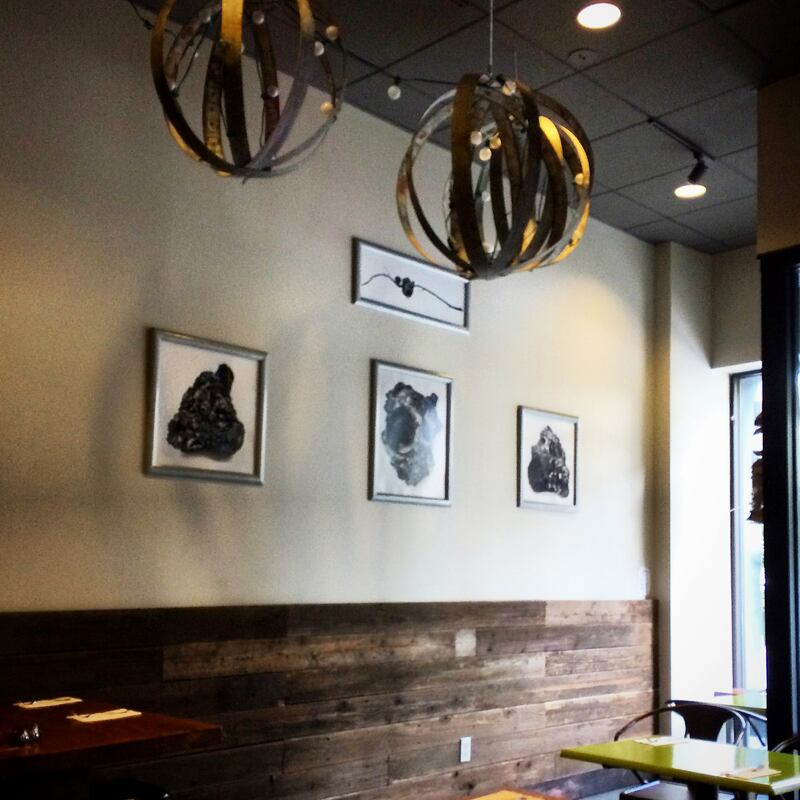 On Friday I hung a few of the photographs from my Arboreal Entropy series at PS Eatery in Alameda. I really like the food and the atmosphere at this restaurant so I am really happy to have my work up here! PS Eatery has delicious food and beer served in a casual setting at very reasonable prices and is a great place to eat with friends or to take your family. I hope you’ll join me in supporting this locally owned restaurant by stopping in for a bite to eat next time you are on Park Street! This entry was posted in Art and Creative Photography and tagged Alameda, art, black and white, photography, PS Eatery on August 25, 2014 by claytonjmitchell.